Change Living / News / It’s a first! 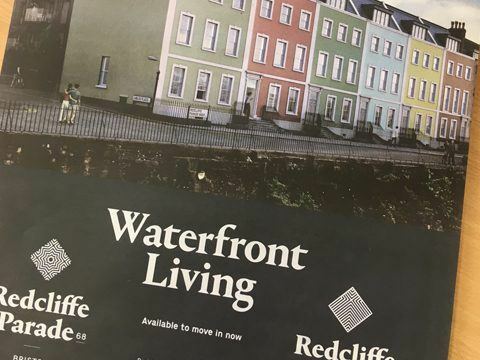 Our new development at Redcliffe Parade in Bristol has appeared on the very first cover-wrap printed with Bristol Property Live – the printed guide for new homes in the city. Featuring images of the meticulously renovated Grade II listed terrace overlooking Bristol’s harbourside, together with stunning interior shots of our show homes in both Redcliffe Parade and Redcliffe Place, we’re sure this front page is going to turn heads! If you’d like more information about these gorgeous apartments, visit our development page here or call our agents, Knight Frank on 0117 3171999 or Ocean on 0117 9469838.